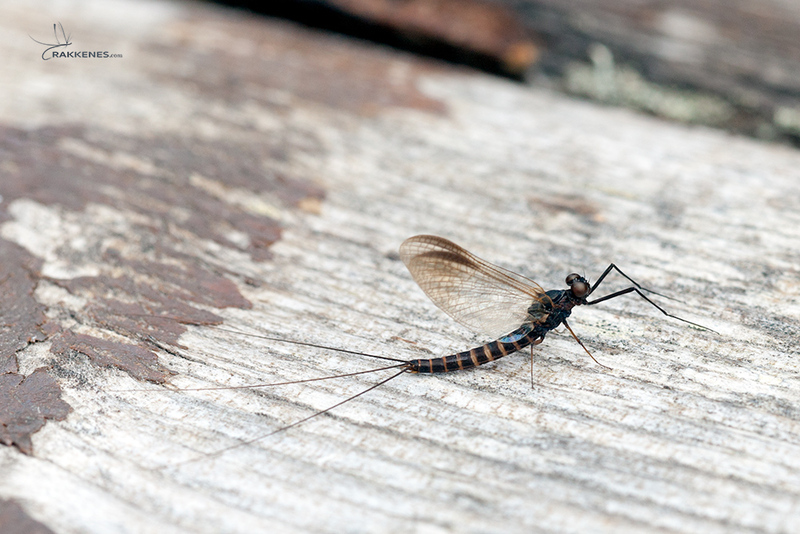 Studying the Sepia Dun – Leptophlebia Marginata – you’ll instantly see two striking features. 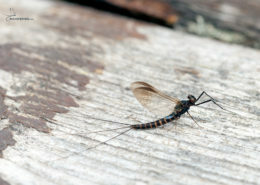 Firstly, they’re almost black. 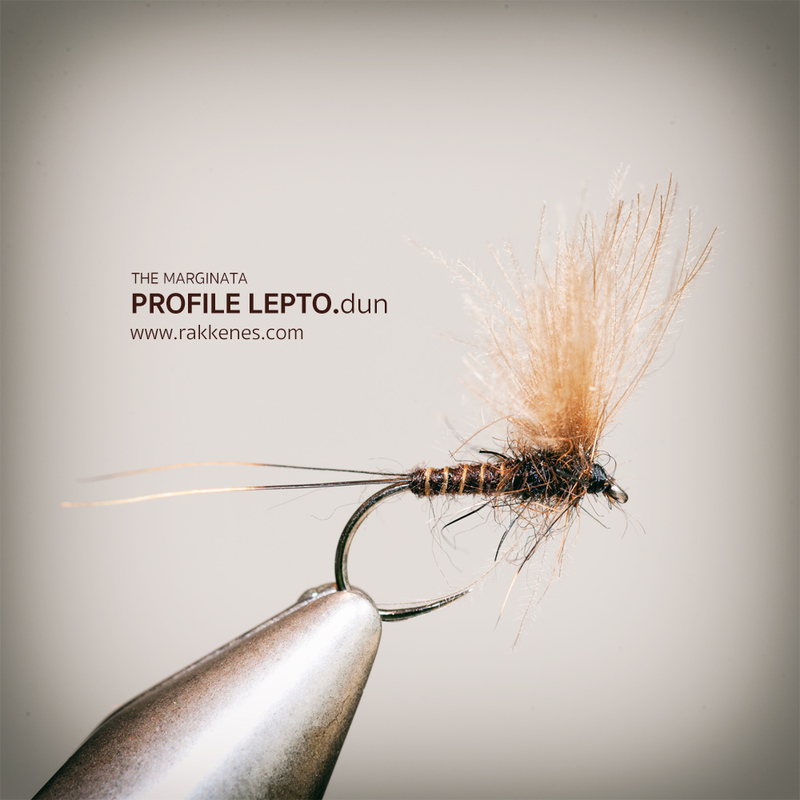 Like chocolate with a high concentration of cocoa. Secondly their clearly segmented by suttle creamy lines. 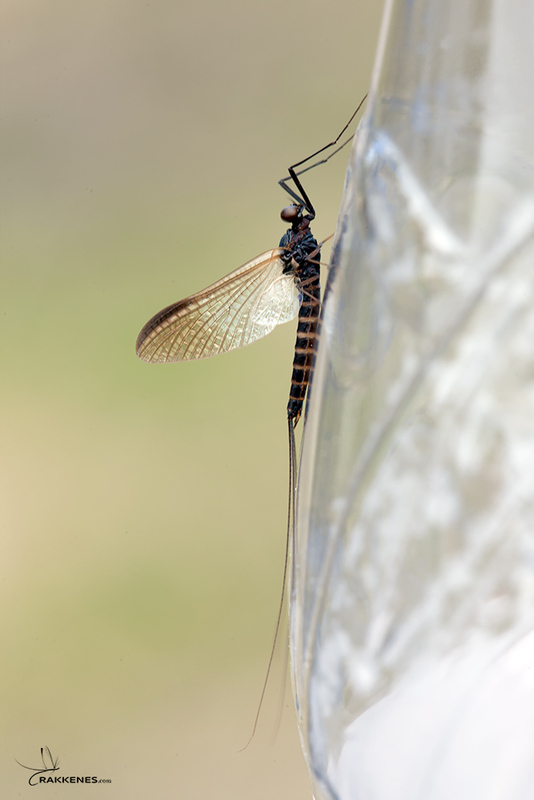 And, if you lift one up and hold it up against the light you’ll see that the black really consist of a dark brown and claret hues. 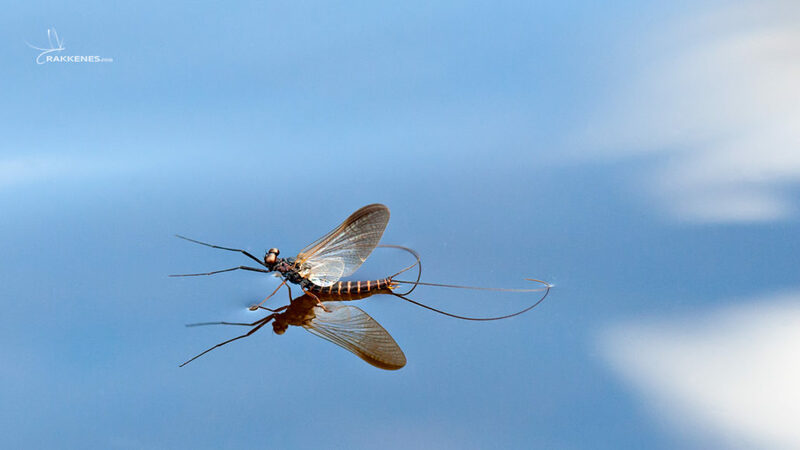 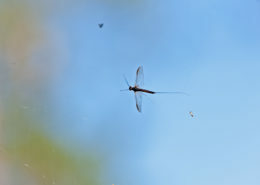 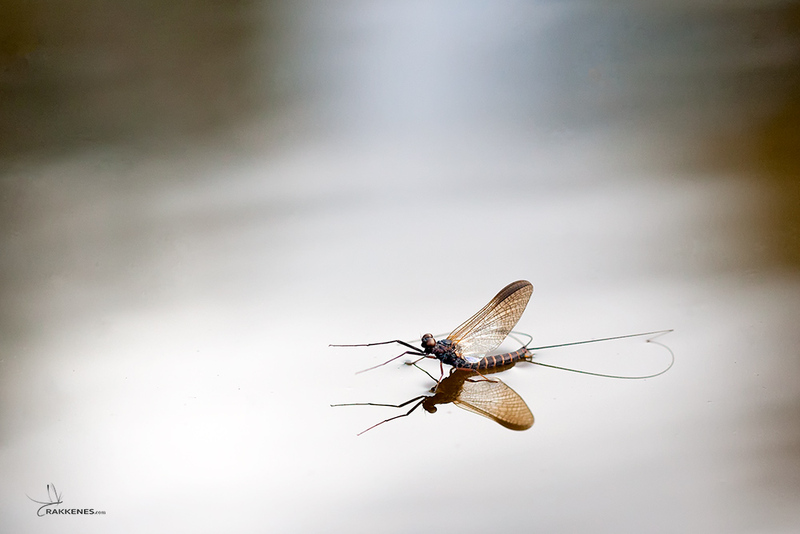 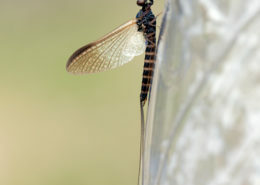 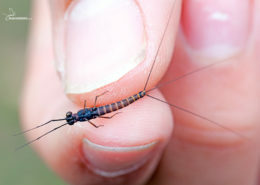 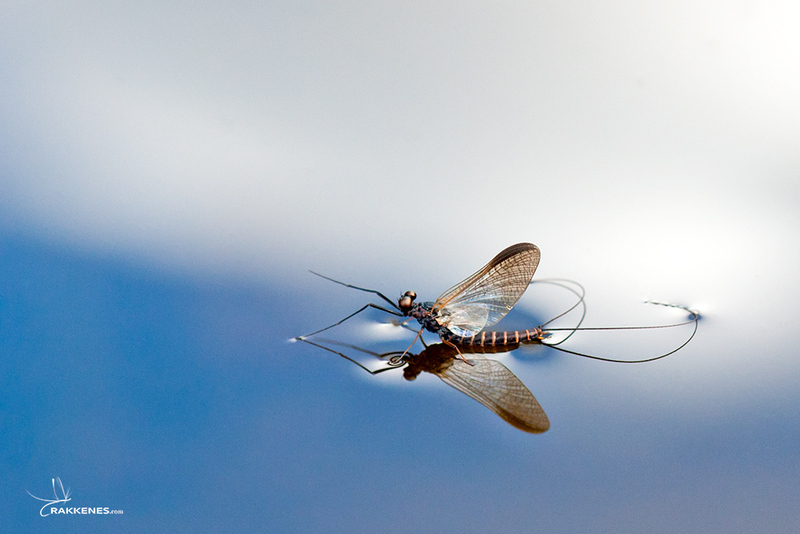 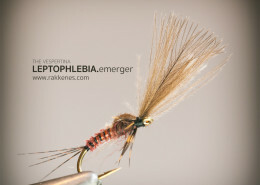 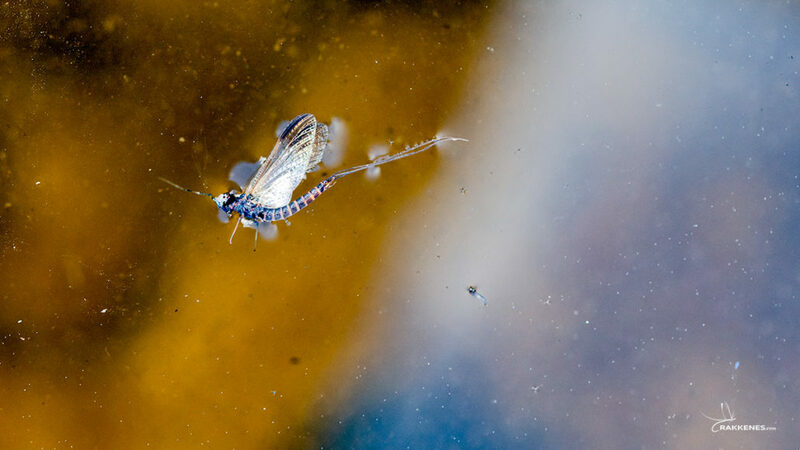 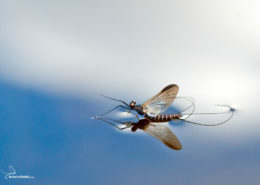 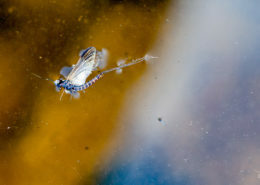 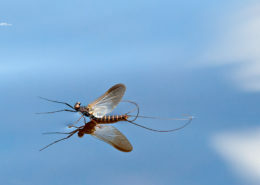 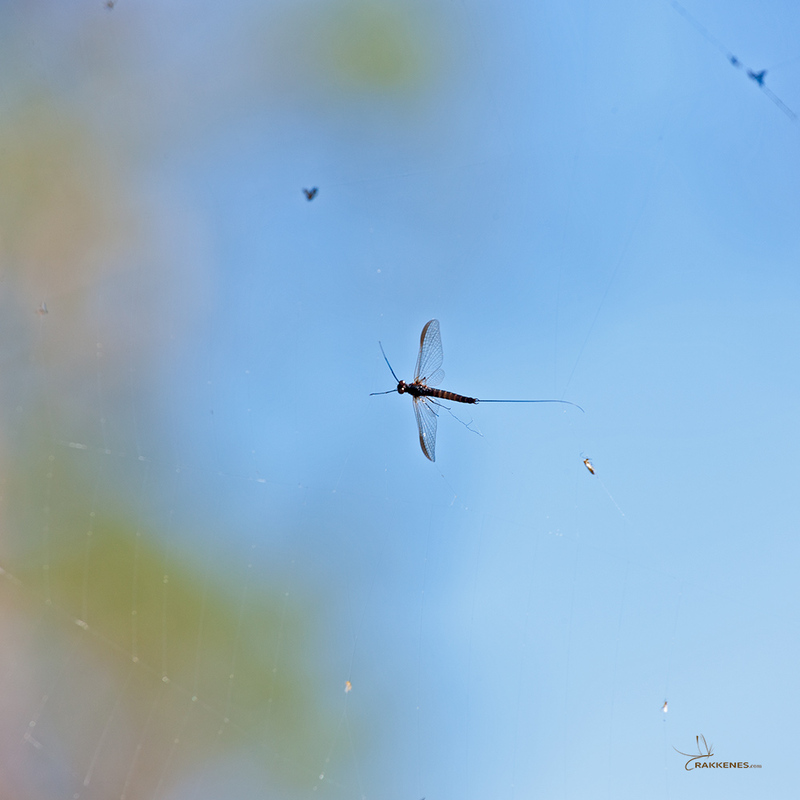 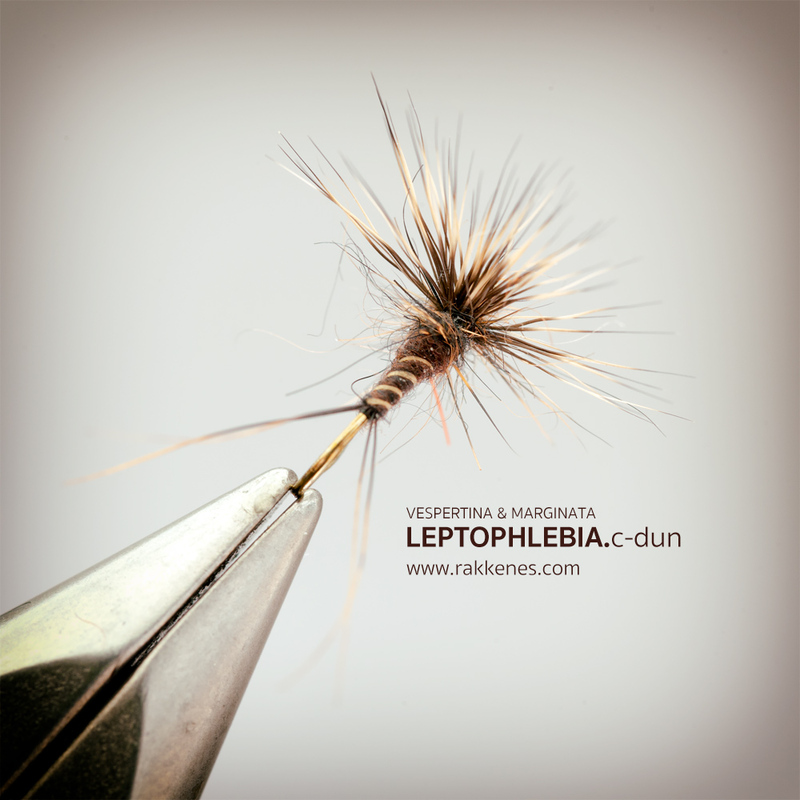 These mayflies are among the first to hit the water in spring and early summer. 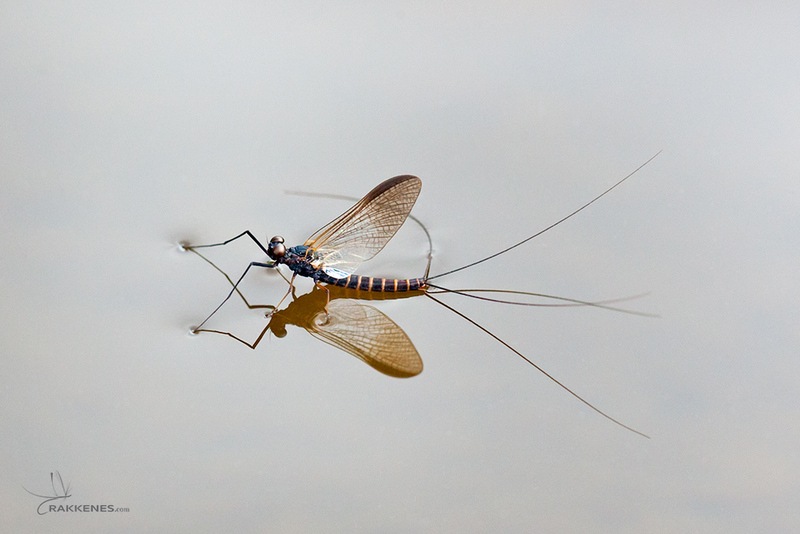 They thrive in still water, but are also found in slow running rivers and streams.